1. Don’t move on a Friday. Even though the weekend gives you time to settle into your new pad, in reality it is the worst day of the week to move house. Not only do some removal companies charge extra to move you on this day but if you experience problems or delays such as the transfer of monies, you will have to wait until Monday to sort the problems out and in the meantime may incur all sorts of charges. 3. Always get at least three quotes. Ensure your removal company visits your property so you can show them exactly what needs to be moved. Don’t just rely on email or telephone. Meeting your removal company face to face prior to the big day is essential as you will be able to sort out any questions or issues. 4. Check with your household policy before you buy extra insurance as some policies will already cover you for moving. 5. Organise yourself with lists of everything you need to do. This takes away some of the stress as you will be able to check off everything you do and then see what is left. Use our printable checklists below to help you. 6. Pack as soon as you can, don’t wait until the last minute. A good place to start is in the loft with things that you don’t often use and work your way down the house. 7. Choose your boxes carefully, only use ‘double walled’ boxes, they need to be strong enough to hold the weight. NEVER make the boxes so heavy that they cannot be lifted safely, the worst offender is books so use smaller boxes. If they are becoming heavy while you are packing them, try filling the rest of the box with light bulky items such as linen, towels, pillows, cushions or soft toys. 8. 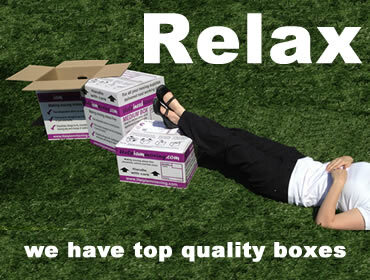 Always use strong tape and fasten the bottom and the top of all your boxes. DO NOT just fold in a criss-cross pattern, because as soon as this box is picked up with any weight inside, the flaps will unfold and everything will fall out. 9. Clearly label each box with the name of the room it should be placed in – such as the lounge or bedroom. It is best to write on the tape as if you are using professional packing boxes from a removal company, they will require them back in a good condition. If your items are going into storage then it is really helpful to attach a piece of paper to the side of each box with a list of contents, this way you can find items quickly and can save you a lot of hassle. 10. Always pack the kettle last, so it is the first thing unloaded. Moving house is thirsty work for everyone involved.